As investigators and forensic scientists sift through the rubble of the Westgate mall in Nairobi, Kenya, in search of answers to the numerous questions that surround the 21 September 2013 attack, even more questions are starting to emerge. The most important of these is how the four gunmen managed to evade Kenya’s intelligence services, had unlimited access to such an important facility and managed to take on the security agencies for four days. There are also questions around the implications of the incident and whether the death of 67 people and the many others that remain missing are a sign of worse things to come, or the last kicks of a weakening Al-Shabaab. The last question in particular has generated a great deal of policy interest, largely because of its implications for the fight against terror in the East and Horn of Africa. One school of thought argues that the Westgate attack was an attempt by Al-Shabaab to appear relevant and gain media attention, but that it probably lacks the capacity to repeat such an incident or sustain its relevance in the region. Another argues that the Westgate incident is a sign of a coming onslaught of terror by Al-Shabaab and should be taken seriously. Which of these arguments should inform policy? Since its withdrawal from Mogadishu in August 2011, Al-Shabaab has continued to lose ground, culminating in the liberation of Kismayo. Until it lost Kismayo, it was thought that the group would ferociously resist any onslaught, particularly given the port city’s economic importance. Yet through the combined efforts of the Kenyan Defence Forces (KDF) and the Ras Kamboni Brigade, the city was liberated without resistance. Apart from reflecting the operational successes of the African Union Mission in Somalia (AMISOM), Al-Shabaab’s losses have also been a consequence of internal leadership wrangling. These disputes are the result of the leadership style of Mukhtar Abu al-Zubayr (Ahmed Godane); operational challenges following the loss of key leaders such as Fazul Abdullah Mohammed; the high cost of direct combat engagement with a relatively better equipped AMISOM in the midst of dwindling financial fortunes since losing the Bakaara market and control of the Kismayo port; increasing defections; and the challenges associated with recruiting fighters despite the deteriorating morale among elements of the foreign fighters. For a group that once boasted massive recruitment capacity, good funding sources, control of large swathes of land in the south and central areas of Somalia, and perceived internal cohesion, this current state does represent weakening. If these internal weaknesses and AMISOM’s resistance persist, there is little doubt that the cumulative effect would be capable of breaking the back of the Islamist group. However, there are two important indications that Al-Shabaab is fast adapting to the situation and evolving into a more complex and bold jihadi group. This can be seen in the massive internal cleansing that has taken place following the battles between Godane and other members of the Shura. Godane has succeeded in eliminating dissenting voices to his leadership and fundamentally altering the power structures of the group by concentrating power in his hands, leading to improved command and control. One area where this new dynamic is playing out is in Godane’s use of the amneyats, a special operations division under his leadership. In cases where the amneyats have been deployed in Mogadishu, their reconnaissance, kill and suicide units have cleverly coordinated their activities against targets such as the Supreme Court and the UN Development Programme (UNDP) compound. This choice of tactics has effectively served as the capstone to Al-Shabaab’s evolution into a guerrilla group ready to exploit the vulnerabilities of its foes through asymmetric warfare. The shift has seen a rise in hit-and-run operations, minimal direct confrontation with AMISOM, fewer men used and fewer resources expended. Even if international efforts to dismantle the group’s fighting forces succeed, the chances that the cells under the leadership of Godane will continue operating is high. This implies that the ongoing military operation against the group might face a long fight. This new phase in Al-Shabaab’s warfare has seen the massive use of suicide bombers; improvised explosive devices (IEDs); roadside bombings; sporadic grenade attacks; and the targeted killings of prominent locals, including security officers, religious figures, government officials, businesspeople and journalists. It also deliberately attracts collateral damage against civilians and exploits this through aggressive propaganda. As such Al-Shabaab does not need more than the current estimated force strength of 5 000 to sabotage peace efforts in Somalia and beyond, as the group’s operational adaptation effectively redefines its capabilities in relation to other actors. Al-Shabaab may be weak in comparison with the capacity it had in the past, but it is not weak in relation to the frail Somali government and the huge internal vulnerabilities of countries like Burundi, Djibouti, Ethiopia, Kenya and Uganda. Within this context, the Westgate attack demonstrates that Al-Shabaab should not be readily discounted. Westgate has shown the cost of lapses in internal security and the vulnerability of countries in the region. Not only is Al-Shabaab capable of hitting outside Somalia, but it can also take advantage of sleeper cells for intelligence collection and operations. 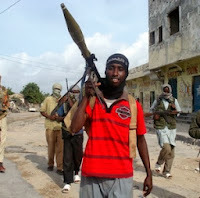 Many countries in the East and Horn of Africa harbour various forms of Al-Shabaab sleeper cells within the radicalised section of the young population. These serve as ready-made cannon fodder for the group. Information emerging from closed-circuit television (CCTV) footage from Westgate also points to the shambolic nature of the response. The confusion that ensued between the commandoes of the police’s General Service Unit (GSU) and the KDF shows a lack of coordination and communication between these important actors. Worst of all was the inability of the intelligence services to intercept the deadly operation before it occurred. Al-Shabaab’s morale will be boosted by the ‘4:67 ratio’logic of the Westgate attack and the inability of the Kenya security forces to neutralise the situation. 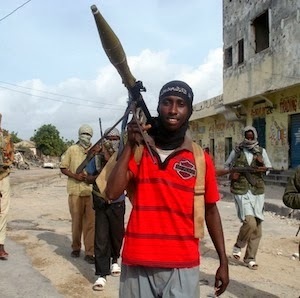 With only a few gunmen, it seems Al-Shabaab can cause havoc to its enemies in the region. Indications are that the nature of engagement with Al-Shabaab is increasing in complexity. As such, a multidimensional solution is needed. Thus far, the military solution through AMISOM has been the key response. Recent attempts have also seen the introduction of socio-economic and developmental options through the New Deal Compact for Somalia. However, the latter option seems to discount the fact that security is a prerequisite. With only one reference to Al-Shabaab, which lumps the group together with militias and criminal groups under its economic pillar, the New Deal does not adequately appreciate the spoiler potential of the Islamist group. What is really missing in the search for a solution is the question of opening dialogue with Al-Shabaab. This is a controversial option, but will serve the interest of peace in Somalia and the region. By offering the nationalist elements and other pro-Somalia individuals within the group an option for disengaging from it, the process of depleting its ranks will be accelerated. Radical elements within the leadership can be contained through the ongoing military solution.